The special two-day 50th anniversary Milton Keynes Model Railway Society (MKMRS) exhibition was a great success. Held on Saturday 16th and Sunday 17th February at Stantonbury Leisure Centre, Milton Keynes, organisers were especially pleased to welcome a large number of families with children to the show as well as railway modellers from across the UK. MKMRS were delighted with the huge attendance and plans are already underway for next year’s show. The society look forward to seeing everyone again at next year’s show detail of which will published here soon. 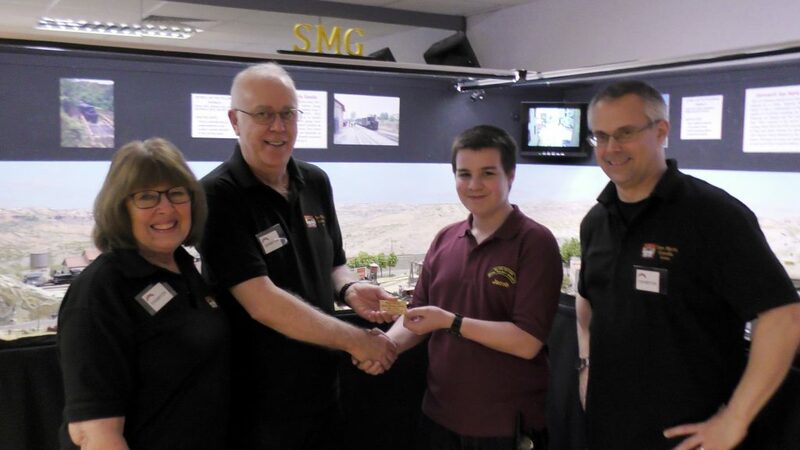 Club member Jacob Horne presents Best in Show plaque to Ian & Marianne Milroy and Robin Marie for their excellent Maria San Gandia layout.